The bitcoin landscape is evolving so rapidly that it's hard to believe we're already halfway through the year. Like any new industry, there are so many areas to explore in the bitcoin space that a week's worth of developments can sometimes feel like a month or two have gone by. Bitcoin has certainly seen a lot of action in 2014. The collapse of Mt. Gox, heftyventure capital investments in bitcoin startups and the US government auction of 30,000 bitcoins seized from the Silk Road all generated buzz in the mainstream media. 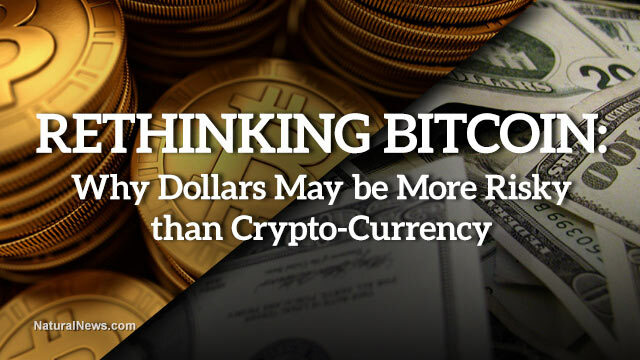 Read more..
Edmund Moy, the former director of the United States Mint under the Bush administration, first learned about bitcoin in the form of a footnote embedded in a coin demand forecast report. When he became director of the Mint in 2006, Moy commissioned annual reports that detailed the various market forces and characteristics that have an impact on coinage needs in the United States. These includes the role of digital payment systems such as credit cards and emerging means of moving money around the internet. Read more.. The implications of bitcoin's effect on consumer finance, investment and banking are not fully understood, a new report from Innopay suggests. The payments and transaction service consulting firm explored the nature of digital currency and its impact on a broad range of market sectors, tapping everyone from European central bankers to core members of the bitcoin community for insight. At its heart, the Innopay report points to a broad awakening within the global economy to the benefits of bitcoin and its underlying technology, but acknowledges that ignition remains held back by and large. Read more.. I've been rethinking Bitcoin a lot lately and I've decided I need to go public with some changes in my own thinking on this peer-to-peer crypto currency. As background, I first came out in favor of Bitcoin and its structure during its early growth years. I became alarmed at the sudden "bubble" of Bitcoin valuations a couple of years ago and warned people about price volatility. Famously, I warned people about the looming "Bitcoin crash" just 24 hours before its value crashed 50%. Since then, I've continued to warn people about price volatility and risk. But based on current events which appear to be unfolding in the global banking cartels, what needs to be stated right now is that there is massive unacknowledged volatility risk in all government currencies. Global cash transaction network ZipZap has recently partnered with PayZone, a UK-based payment processing service, to offer its services in the UK. The deal should help UK Bitcoin users get access to Bitcoin by allowing them to purchase the digital currency with cash at more than 20,000 PayZone terminals across the UK. In order to get a better idea of ZipZap's long-term strategy, and what the partnership will entail, we've spoken with their CEO, Alan Safahi, in detail. Here's what he had to say: Read more.. The interview aimed to assess Hoffman's current opinion of opportunities in the market given his experience and success in early social media. Notably, despite the suggestions by show hosts that such industries as wearable technology, healthcare and home automation were areas that investors should be considering for investment over the next three-to-five years, Hoffman suggested he is increasingly focused on bitcoin. Read more..